In this topic, you will learn how to create a lead form that can be displayed in an Audience-enabled player. Note: For publishers using Internet Explorer, version 9 or newer is required. 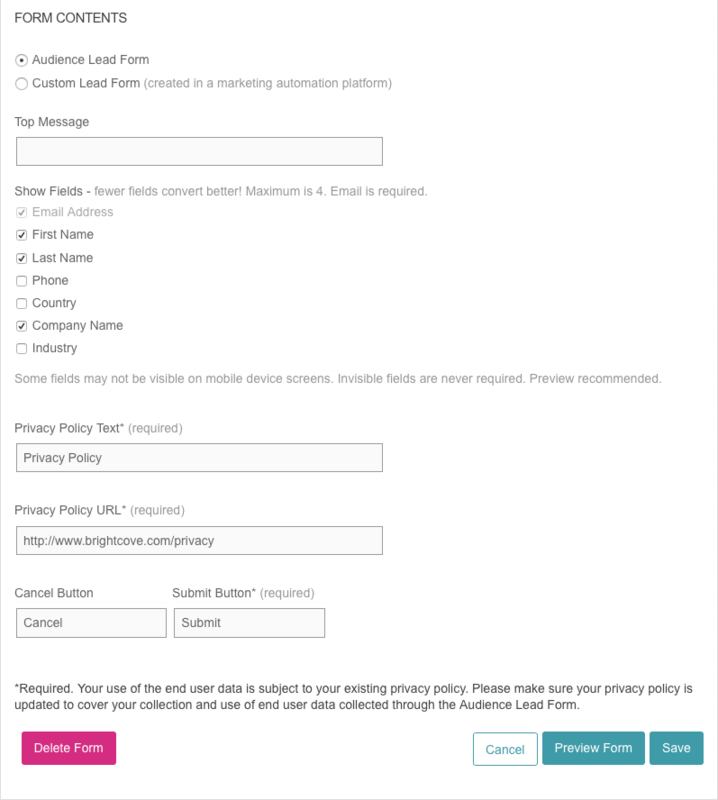 To create a lead form, follow these steps. 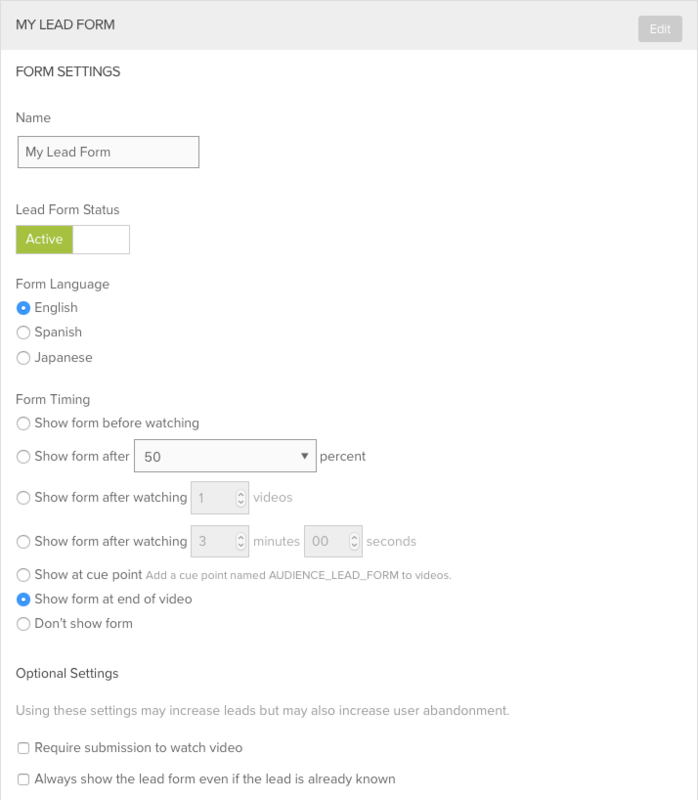 Select a Lead Form Status. Check Require submission to watch video to require that the lead form be submitted to watch a video. Checking Always show the lead form even if the lead is already known will always show the lead form even if the lead is already known. If not checked, the lead form is not displayed if the lead is known. Enter a Top Message. The top message is what will be displayed at the top of the lead form. Select the fields to display on the lead form. A maximum of 4 fields can be selected. Enter the button text to be used for the Cancel and Submit Button. (Optional) Click Preview Form to open a preview of the form. 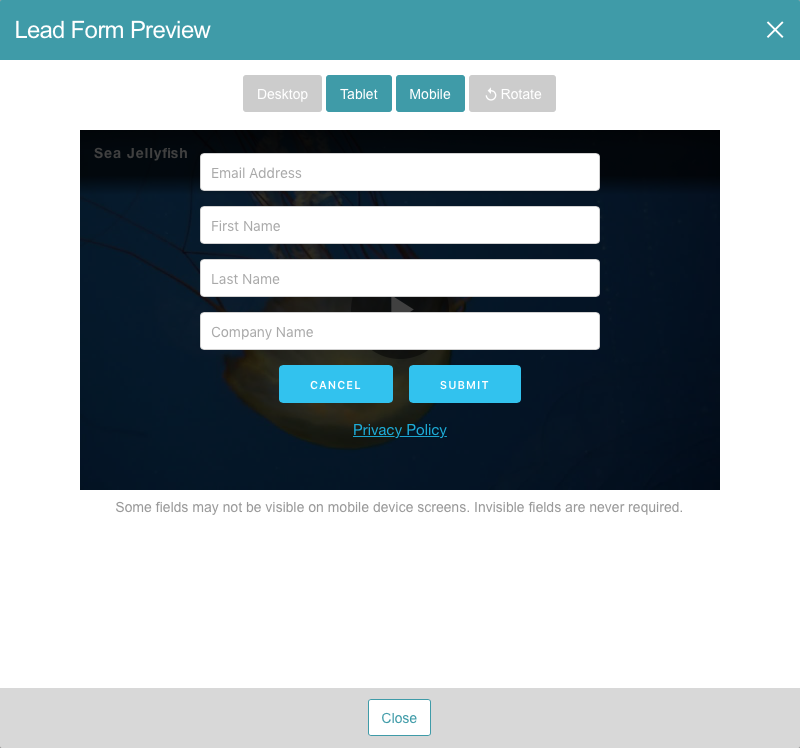 The preview dialog can be used to preview the form on mobile, tablet or desktop devices. Click Close when done. The lead form can be edited by clicking the Edit button. Export Audience Data - Used to export lead data collected from Audience-enabled Brightcove Players. For information, see Exporting Audience Data from the Audience Module. Export Gallery Leads - Used to export lead data collected from Gallery experiences. For information, see Exporting Gallery Lead Data.